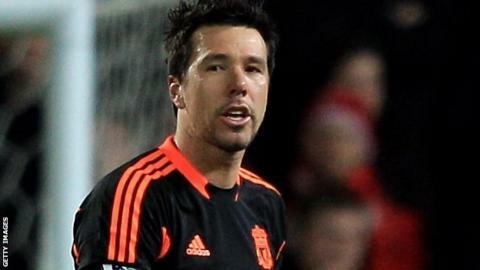 Liverpool goalkeeper Alexander Doni is returning to his native Brazil to join Botafogo on a free transfer - but it is not the famous Rio club of that name. Instead, the 33-year-old, who signed for the Reds for about £1.3m in 2011 from AS Roma, is joining Botafogo of Ribeirao Preto, currently bidding to reach the national fourth division. Doni, signed by Kenny Dalglish, made only four appearances for the Reds. The keeper has won 10 Brazil caps and was in the 2010 World Cup squad.